Coastal Crew: Coastal Crew Ep.2 - Semenuk and Norbraten Get the Shot. 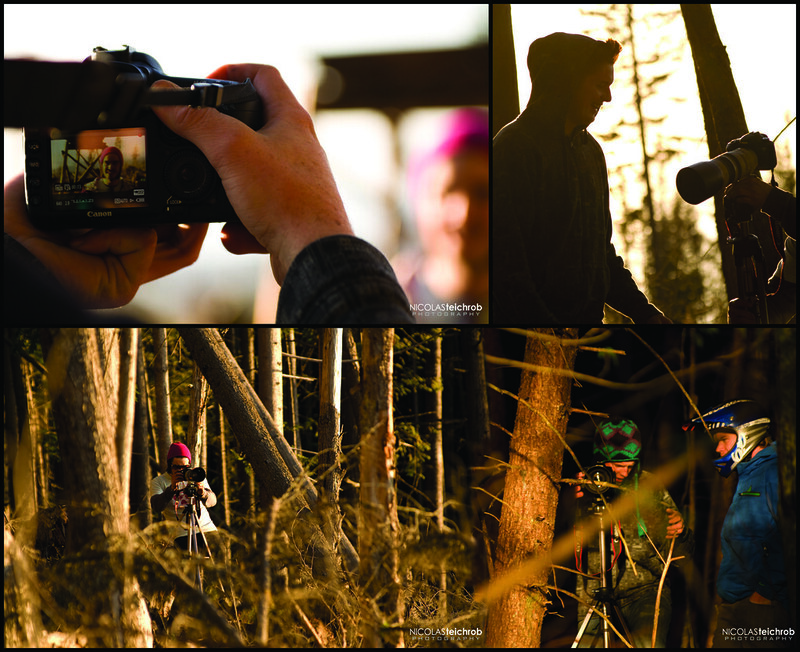 Coastal Crew Ep.2 - Semenuk and Norbraten Get the Shot. A huge part of our lives as riders, builders and filmmakers is collaborating with other people who feel the same passion for this so called sport as we do. Nicolas Teichrob, aka Teky is an enthusiastic local photographer and a great friend of ours. He’s always down to shoot come rain, snow, shine, or in this case, arctic temperatures. His energy for shooting is portrayed in his shots and so we felt it was time to bring you into his world and show you what it takes to Get The Shot. We are blessed on the coast with some unbelievable weather and scenery but often it’s the light that we wait for, not the weather. So on a sunny but freezing day in December 2009, we were hit with perfect conditions: high pressure, blue skies and an unreal sunset. Brandon Semenuk drove over to join us and the shoot was on. The setting: a clear cut looking over the ocean. The stunt: a step up to 12 ft drop. The goal: to capture Kyle Norbraten and Brandon Semenuk 3’ing the drop successively. We knew that we had, at most, 1 hour to get the shot and shoot the webisode. 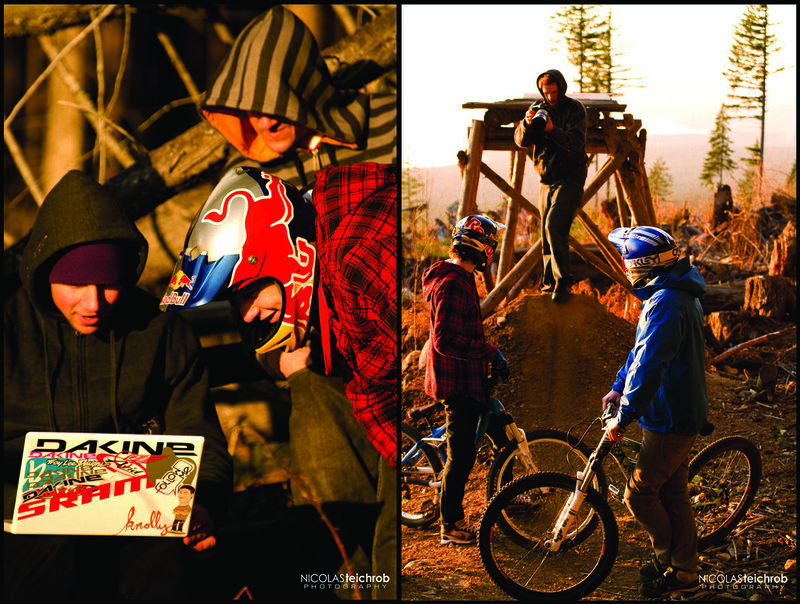 On the drive up, Dylan and Cal were planning the shots, Teky was setting up both a time-lapse for the webisode and his shots, and Brandon and Kyle warmed up on their bikes. And by warmed up we mean defrosting their goggles and trying to keep their hands from freezing. We reeled off shot after shot while Brandon and Kyle dropped perfect 3’s time and time again, golden light filled the sky and everything went mad as Dyl and Cal were bolting from shot to shot, Brandon and Kyle were running laps of the drop and Teky was running around getting every shot dialed. After those few frantic moments, the sun was gone, the shots captured and smiles had all around. 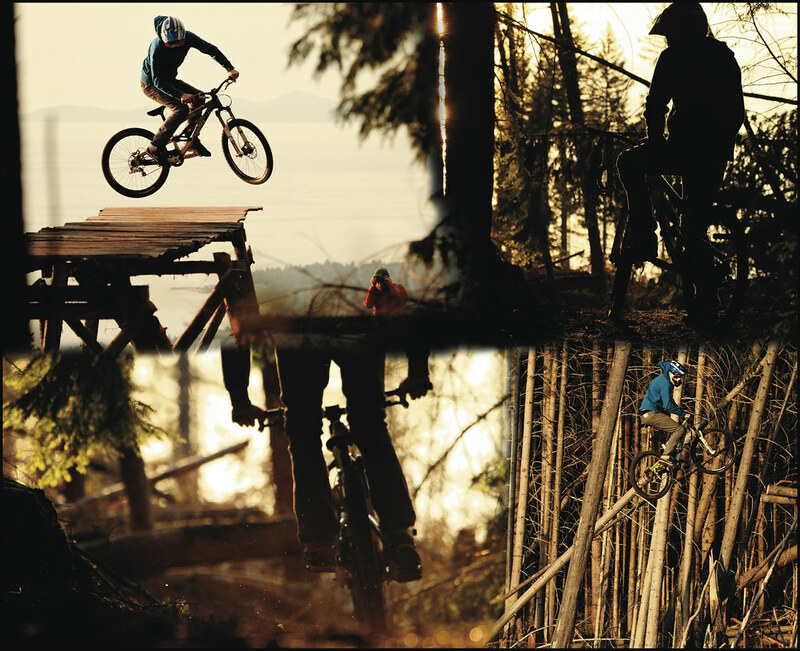 Stay tuned to bike magazines near you for more of Teky's shots from this shoot. Photos courtesy of Nicolas Teichrob. Another Rad nstallment of the coastal crew. I am pumped to be riding Roberts Creek again next weekend.